A Burwell-based marquee company has won the public vote at this year’s prestigious Family Business of the Year awards. The Highfield Event Group Ltd, based at Klondyke Farm, was voted the People’s Choice Awards regional winner for East and East Anglia at a gala reception at The May Fair Hotel in London earlier this month. The awards, now in their sixth year, were created to celebrate the UK family business sector, to recognise the diversity of family firms across the country and to celebrate the contribution that they make. 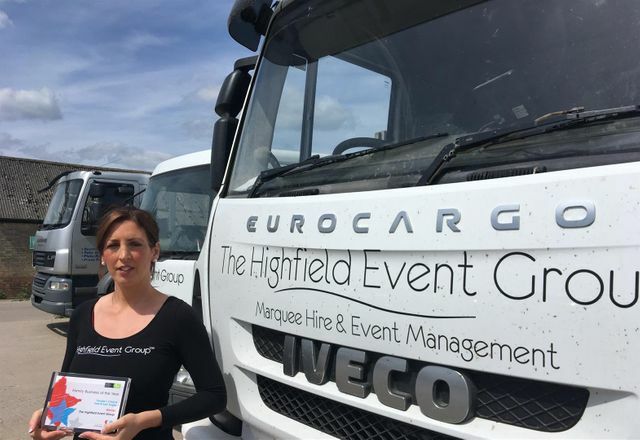 The Highfield Event Group was founded in 1979 by Garry Chapman who has since been joined at the helm by his daughter Claire Rigarlsford-Chapman and son Christopher.